Tom Rothman, chairman of Sony Pictures, has today detailed the studio’s comprehensive film slate through 2019, granting release dates to Bad Boys 3, Underworld 5 and The Dark Tower among many, many others. Encompassing a “diverse, globally oriented mix of films,” Rothman was quick to point out that rollout covers franchise hopefuls as well as new entries into existing properties, and though Sony’s slate may be light on heroes in tights relative to Warner Bros. and Disney, there are a number of upcoming releases worth getting excited about. 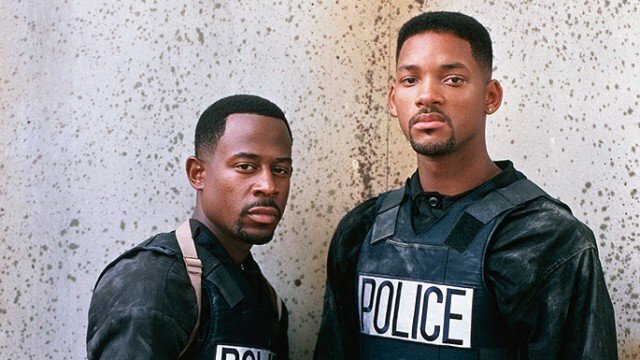 While it’s been on the cards for some time, it seems the company is ready to fully commit to not only Bad Boys 3, but Bad Boys 4, with the high-octane sequels now due to arrive on February 17, 2017 and July 3, 2019, respectively. Sticking with established franchises for the time being and Sony also dated Resident Evil: The Final Chapter for January 27, 2017, while Underworld 5 will hit theaters next year on October 21. Now comes the exciting part: the reboots and original properties. Kicking off the slate next year is Money Monster (April 8), before The Shallows arrives in the thick of the summer season on June 24. Rothman also noted that the Ghostbusters has been brought forward one week to its new July 15 date, before Patient Zero lands on September 2. Within the same month, The Magnificent Seven remake slots into its new-fangled September 23 date, before Jennifer Lawrence and Chris Pratt’s Passengers opens on December 21. Finally, Sony’s 2016 slate will be capped off with the long-gestating Jumanji reboot on Christmas Day. Shifting the focus to 2017, Rothman revealed that Stephen King’s The Dark Tower movie will land on January 13, 2017, followed quickly by the aforementioned – and conclusive – Resident Evil film. After that we have Baby Driver and Barbie, releasing on March 17 and June 2, respectively, before the long-in-development Uncharted adaptation struts in front of the camera in time for June 30, 2017. Of course, the production has been beleaguered with development setbacks, but the fact that Sony has tentatively slotted the video game movie for a summer tentpole window indicates the confidence it has in it. If all goes to plan, Nathan Drake could be rubbing shoulders with Tom Holland’s Peter Parker, when the Spider-Man standalone film swoops into action on July 28, while Denzel Washington is primed to return as the titular hero in The Equalizer 2 (September 29, 2017). Sony Pictures is set to draw its 2017 slate to a close with faith-based nativity film The Lamb on December 8.